As of Friday, Toys R Us is dead…for now. The 70-year-old retail chain is the latest victim in the long-running Private Equity scam wherein investors in name only buy a company with borrowed money, transfer the debt to the company they bought, drain it of all its worth, and then let the remnants be liquidated in bankruptcy court. This will not be the last time this happens. Soon the Bon Ton retail empire, which locally includes Elder-Beerman, will follow suit, for exactly the same reasons. 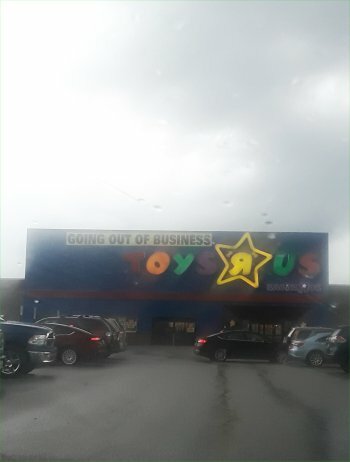 But Toys R Us, as we know it, will cease to be this week. Many stores have already closed, while a few will fizzle out before the weekend. By next year, a new company will own the name and will begin opening new stores, hopefully with competent management and no plans to sell out to Wall Street vultures. Bloomberg reports that Jerry Storch, the former CEO of Toys R Us, who was fired in 2013 for making the company too profitable for Bain Capital and their co-conspirators to pull off their “Producers” style ponzi scheme, has been working with several investors on a plan to relaunch the retailer in the U.S, assuming they can purchase the intellectural property rights out at the bankruptcy auction at the end of July. Storch is the man to lead the revival. Under his leadership TRU grossed nearly a billion dollars a year. Unfortunately the company was saddled with so much debt that even at that level they could not dig their way out. I wrote about the horrid business practice of leveraged buyouts that brought down Toys R Us last year. With a clean slate and real capital behind him, Storch could very easily bring Toys R Us back as a stronger retailer than it had ever been before. That is, if he and his investors can win the auction. It’s entirely possible that Walmart or Target could buy the name, just to slap on their toy department so that nobody else could use it. There are also murmers that other big box retailers may pursue the name so that they could rebrand parts of their stores into Toys R Us locations. At this point nobody knows what the bidding process will entail. It’s also possible that MGA Entertainment’s Isaac Larian, who tried to salvage some of the existing stores in a failed bid, might be involved in some way. One thing that is probable is that, if a Toys R Us revival does happen, it’s not likely to be in the same locations. The real estate is being sold off in a separate auction, and it’s unlikely that investors can come up with enough money to buy both the intellectual property and the physical locations. Doing so would saddle the company with too much debt to get off to a good start. 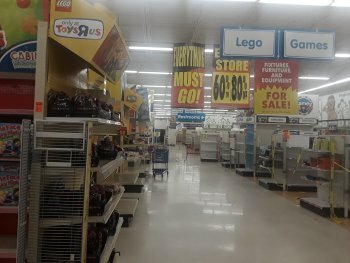 We may see a revived TRU launch in malls, much like the old KB Toys business model, because there is so much available retail space in our failing former meccas of retail. 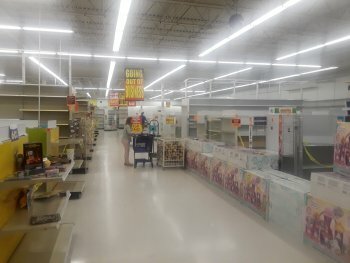 We could also see Toys R Us open in former Bon Ton locations, like Elder Beerman, which would be novel, considering that the same liquidation firm is handling both of their going out of business sales. At this point it’s all speculation. Regardless of what happens, it’s pretty likely that the Toys R Us name will live on in some way, shape or form. I would imagine it’s even possible that there may be some use of the name before this Christmas season, if only online. The one thing that we do know for sure is that other competitors are already starting to spring up. 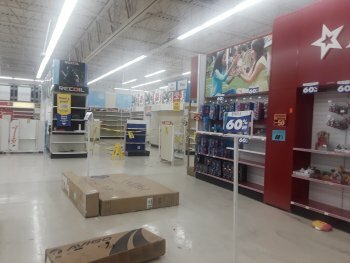 Party City announced earlier this week that they will be leasing 50 former Toys R Us locations this year as “Halloween City” (which we have seen in Teays Valley and Parkersburg in the past) and that instead of closing on November 1, those stores will convert to “Toy City” and remain open through the holiday season. I’m hoping that they decide to do this with all of their Halloween City locations, since fifty stores is really not that big a deal. I’ve also heard rumblings that Spirit Halloween stores may follow suit. We also know that KB Toys plans to open hundreds of pop-up locations in malls all over the country, with the door being left open so that the best-performing of those stores could potentially remain in operation year-round. Strategic Marks, who successfully revived Hydrox and other brands in the past, has wisely partnered with mall operators for this project. FAO Schwarz is also poised for a return on a smaller scale, with a hunt underway for a new Times Square location and several smaller stores planned for airport malls. The issue with pop-up stores is that they lack the buying power of major retailers and will either have higher prices or a different selection of merchandise as a result. I actually like the idea of having retailers cozying up with smaller toymakers as it could make things much more interesting in the long run. That’s the silver lining in this cloud. With so many new players in the toy retailing game, there are much more opportunities for small toymakers to get their feet in more doors. We already have Walgreens as a major player with exclusive action figures from Hasbro’s Marvel Legends and McFarlane Toys Walking Dead lines. It could get to be fun for collectors making toy runs again. In addition to pop up stores and such, Walmart and Target are expanding their toy sections starting in August, and Walgreens is aggressively expanding their already-growing toy department in time for Christmas. Other retailers: Kohl’s, Best Buy, Barnes & Noble, Books A Million, Cabelas/Bass Pro Shops and TJ Maxx are also ramping up their toy offerings this year. Even Kroger is rumored to be getting in on the act. So while there’s some sadness for the end of an era, I’m guessing that the toy industry will have record sales this year as toys are available in more retail outlets than they’ve been in for decades. I also expect Toys R Us to be back in 2019. In essence, I don’t come to bury Toys R Us, but to praise it. This chapter has a sad ending, but the story is not over. The photos accompanying this post were all taken in the last week at various Toys R Us locations in Chattanooga, Barboursville and Charleston. A very encouraging article. Thank you! Just the end for now. I have a pretty strong feeling that the next chapter will be clear after the asset auction.